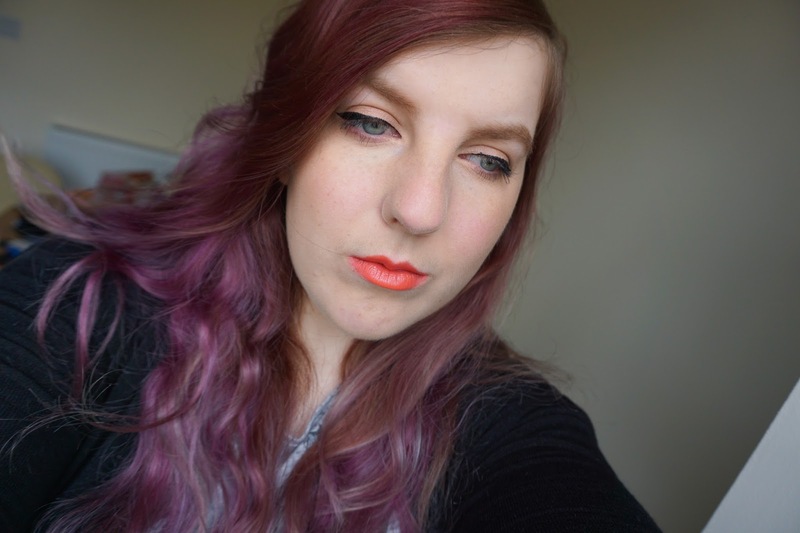 Vegas Volt is a lipstick I've been wanting each summer, and I finally got round to purchasing it. It's a gorgeous bright coral colour, and perfect for the warmer months. 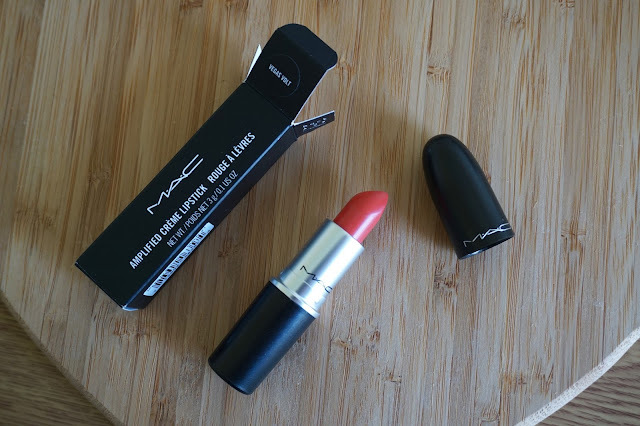 I originally had my eye on this lipstick in Florida however didn't buy it as I instead bought Ruby Woo, but from trying this lipstick on it really suited blonde hair and I loved how fresh it made make up look. I would say it probably suits blonde hair more than my current purple, however I'm getting it dyed soon so I can't wait to wear this lipstick more. It's a very creamy formula and it's part of the amplified selection which means it packs colour as well. I haven't worn it out enough to give an opinion on wearing time, and I've not ate with it on either. I like patting the lipstick on my lips as well as going straight from the bullet, as it can give a more wearable look. I think if you are wanting to transition over to orange/coral lipsticks this would be a great one for you. You can purchase it here. Have you tried Vegas Volt? What do you think?